I recently wrote about bad faith concerns with reinsurance companies when a cedent company fails to have written procedures in my post Absence of procedures to notify reinsurance is a basis for bad faith. In the post I also raised issues around having written procedural guidelines. As expected, I received some comments and support from those who want to use those guidelines against the company. In addition, some pointed out claim guideline requirements of some state insurance departments for some lines of business. Before drafting guidelines there are a few things that should be considered. Our friend Phil Loree, Jr. of the Loree Insurance and Arbitration Law Forum suggested 7 things a company should consider when drafting claims guidelines. As Phil notes, periodic review of guidelines should be done to ensure compliance with current laws. I would also recommend that when procedures change review guidelines to make sure they are consistent with those new procedures. The ultimate goal of guidelines should be to help handlers review claims effectively, within the terms of the policy, as well as to resolve matters fairly and expeditiously. Remember that different lines of business may have different requirements so consider line of business nuances and address them accordingly. 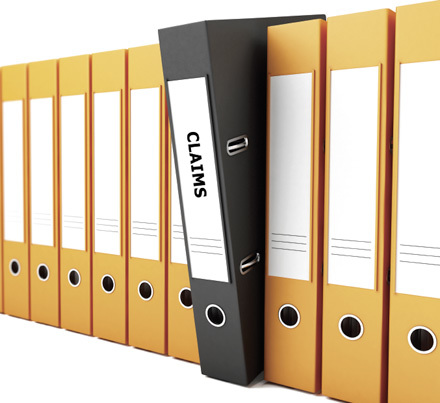 Claims departments employ professionals that want to do a good job for policy holders as well as the company, and guidelines should help foster those goals. Tagged with Bad Faith, Best Practices, Claims Handling, Compliance, Policy and Procedures, Procedures, Written Guidelines, Written Procedures. All excellent points to creating effective guidelines! #6 is especially important in today’s constantly-evolving business world. Trending activities and outdated laws can come and go in an instant, and it’s good to note that the review of your company’s guidelines should be done regularly. It’s important to keep risk management basics in mind when creating policies to avoid future confusion (or worse!). Great post as usual. Thanks so much for quoting our post, which was inspired by your original one. I think your proactive position on claims manuals is a good one for companies to adopt. Craig, I’m glad you liked #6, and I agree with you and Marc 100% about keeping guidelines and procedures up to date with not only current law, but with newly-instituted procedures. I partially disagree with #4. Making the three point contact (employee, Dr., and employer) on Workers Comp claims within 24 hours can never be subjugated to delays, etc. WC claims are basically set in stone after 48 hours. I have shown this statistically many times. Excellent point – and it is a good reminder that there are guidelines that are governed by regulations that must be adhered to. This is especially true of regulations surrounding Workers’ Comp and others relating to personal auto and property damage. Very nice general overview and spot on…….